When Bobby Shafran began his first semester at an upstate New York community college nearly 40 years ago, he was greeted effusively by some students. The warm reception puzzled him, since he had never set foot on the campus. He soon learned he had been mistaken for another student, Edward (Eddy) Galland, who looked almost exactly like him. 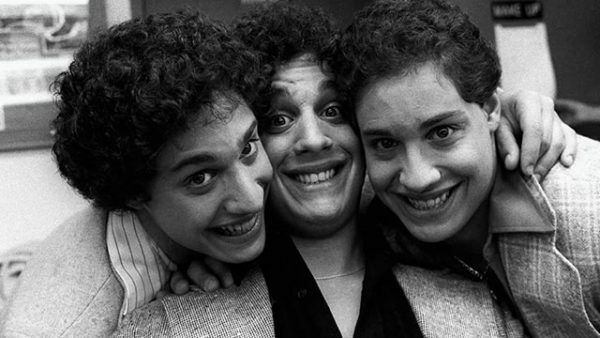 Tim Wardle’s riveting documentary, Three Identical Strangers, which opens in Canada on July 13, explores this amazing story, which is both exhilarating and depressing. Adopted by three different families when they were six months old, these Jewish young men became overnight celebrities. They were interviewed on TV talk shows. Newspapers and magazines carried articles about them. They appeared in a feature film. Much to everyone’s amazement, they had the same outgoing personalities and shared similar tastes, passions and interests. They all liked Chinese food, older women, Marlboro cigarettes and professional wrestling. They even fancied the same colors. In reality, however, they were different. Their foster parents had no idea they were triplets. Nor did any of the boys have the slightest inkling that they lived within 100 miles of each other in New York and New Jersey. One of the boys was adopted by a blue-collar family. The other two were raised in middle-class and upper middle-class homes. Curious about their origins, they made inquiries to fill in black holes. Their birth mother, a teenager who was impregnated on Prom Night, never recovered from the trauma of having to give up her triplets. The father goes unmentioned. As they dug deeper, they stumbled upon a disquieting piece of information. They had been part of a scientific experiment studying identical twins and the relationship between parenting practices and children’s development. For years, they were subjected to tests and regularly filmed. “I felt weird about it,” says Bobby. Six to eight other identical twins were also enrolled in the study, which was conducted by the Austrian Jewish psychiatrist Peter Neubauer, who died in 2008. Strangely enough, it was never published and will remain sealed at Yale University until 2066. The unread study has aroused considerable speculation. Is hereditary more important than environment? The age-old “nature” vs. “nurture” question remains unanswered to this day. Neither Bobby, Edward nor David could ever come to grips with it. But that is the least important part of the film. Wardle is mainly interested in focusing on their lives after they discovered each other. He introduces us to their wives. He tells us that they capitalized on their momentary fame by going into partnership in the restaurant business in New York City. He informs us that they had a falling out and that tragedy struck one of the brothers. 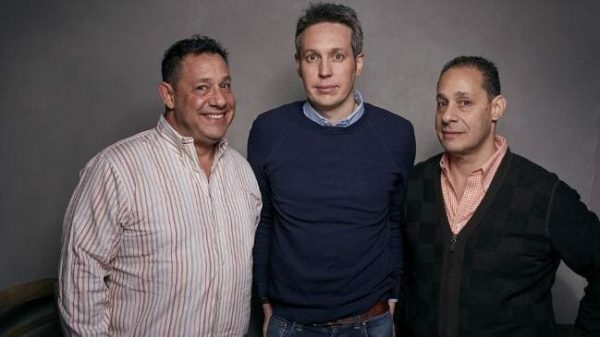 In Three Identical Strangers, the light and the dark commingle seamlessly.